ENGAGEMENT MANAGEMENT FOR ACCOUNTANTS AND ATTORNEYS IS BECOMING INCREASINGLY INTEGRATED AND COMPLEX. TO MEET THESE CHALLENGES, WE'VE CREATED A MEMBER ASSOCIATION WHERE PROFESSIONALS CAN CONNECT, LEARN AND ENHANCE THEIR VALUE PROPOSITION. Collaboration – The ALA’s mission is to help accountants and legal professionals work together to add value for their clients. Innovation – The ALA is a practice management resource that leverages the latest technologies to disseminate best practices in all dimensions of business including: networking, referrals, software installation/usage, business model design, managerial decision-making and more. Education – The ALA is a continuing education provider (CPE and CLE) which offers high-quality seminars, webinars and self-study programs. Membership includes unlimited access to all webinars. Join today and see all that the ALA can do for you! 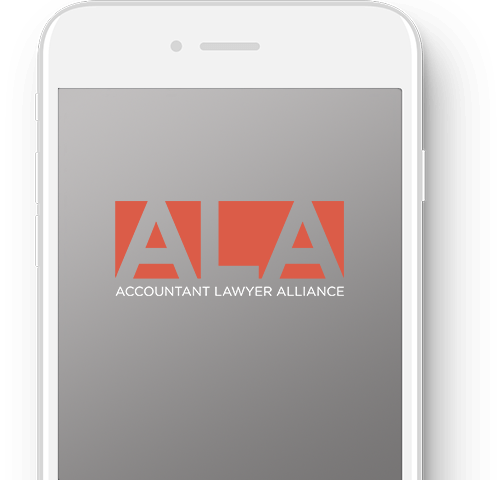 If you are an accountant or legal professional who has questioned the real value of the membership association you are a part of, please consider joining the Accountant-Lawyer Alliance (ALA). The ALA supplies a host of tools built specifically for the fields of accounting and law, which save time, money and also build specialty knowledge and robust practices. Join the ALA Speakers Bureau Today. Check back often as new events are posted each week. Offering, on average, over three classes each week, learning something new is always only one click away!